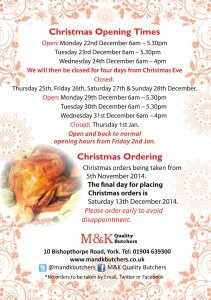 The final day for placing Christmas orders is Saturday 15th December 2012. Please order early to avoid disappointment. 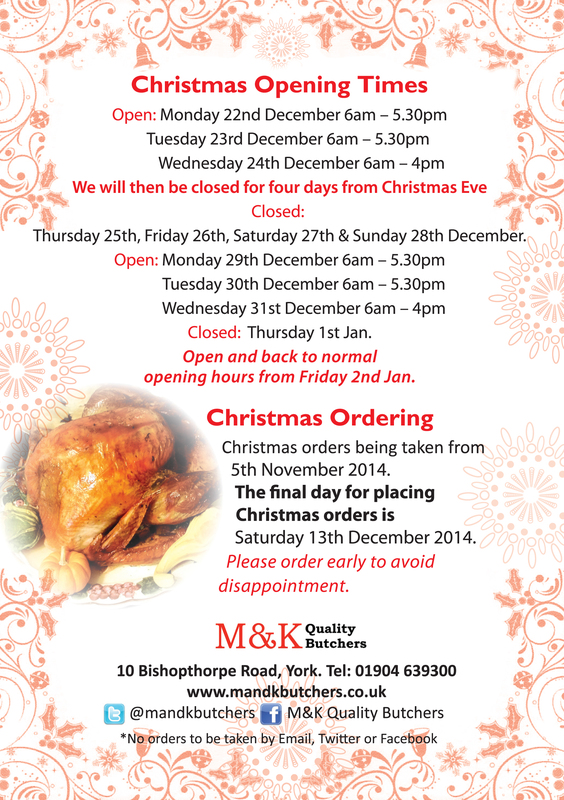 This year we are opening especially on Sunday 23rd to allow our customers to come and collect their Christmas orders. If throughout the month of December you have to queue for longer than anticipated, we would like to take the opportunity of apologising for any inconvenience. We do try to give all our customers the time and attention required to fulfil their request.